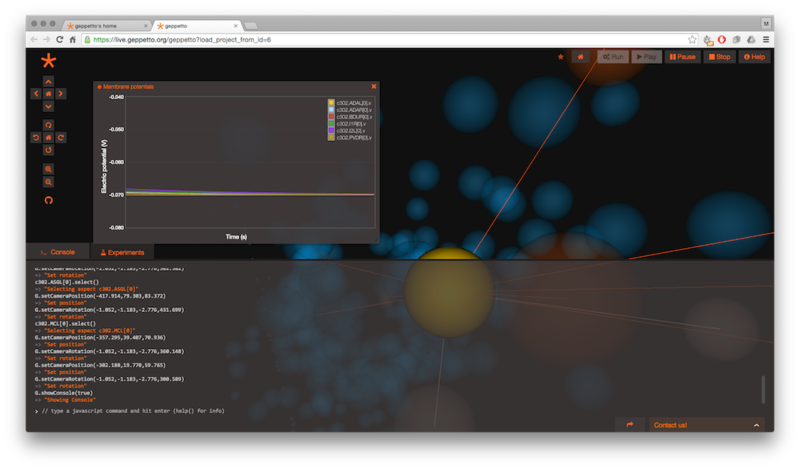 The visualisation and simulation platform focused on what matters to you. 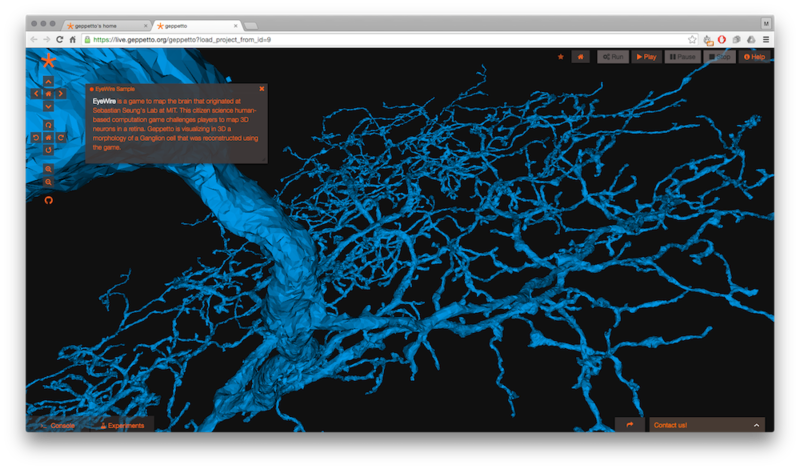 Geppetto is a web-based visualisation and simulation platform engineered to explore complex biological systems. 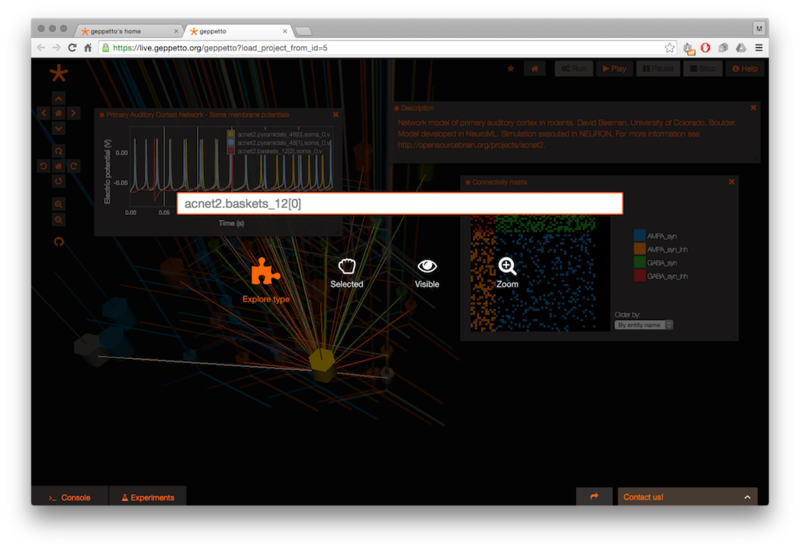 Engineered together with scientists, Geppetto lets you integrate different data and models. A modular architecture allows the platform to easily support different standard formats for both experimental and computational data. 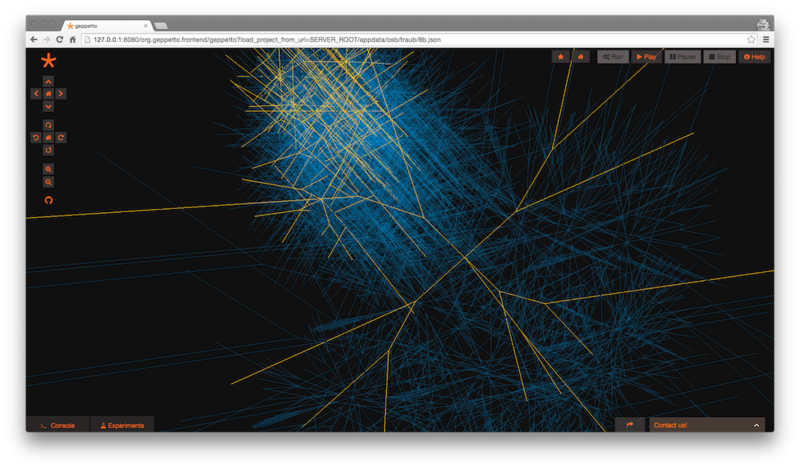 Geppetto is entirely open source and engineers, scientists and developers from different groups are contributing to its development by adding functionality to visualize or simulate new data. 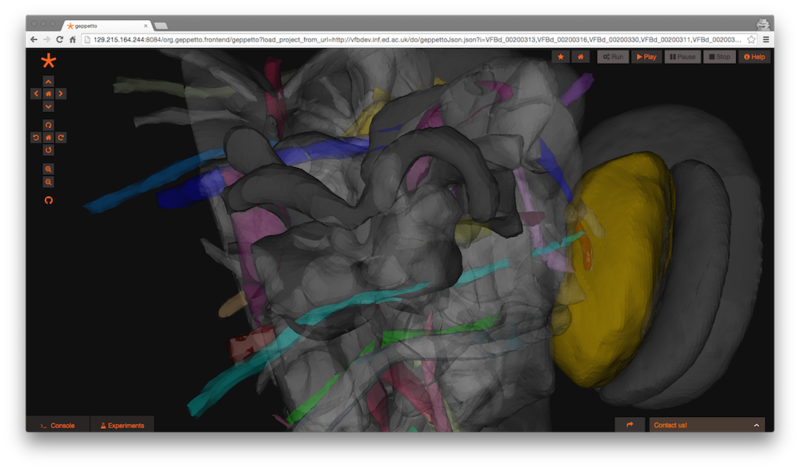 Geppetto enables visualizing and interacting with 3D data in your web browser. Take advantage of out of the box support for point clouds, ball-and-stick models, line segments for large networks or arbitrarly complex meshes. 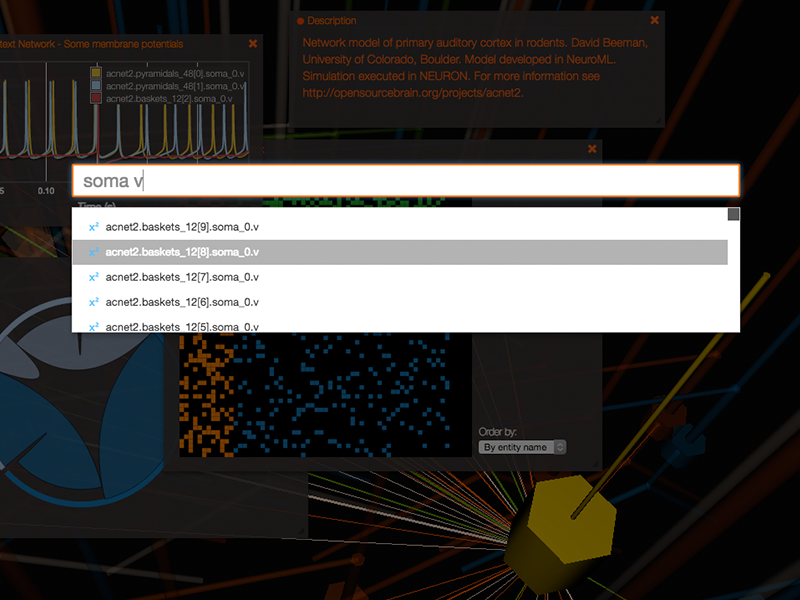 A modular system of widgets allows both experimental and simulated data to be visualized in domain specific ways so that you can always be in control of how to present your data. The data and models loaded inside Geppetto are fully indexed and searchable for you to always find what is most important without big data getting in the way. Geppetto offers a gorgeous minimal and flat interface built using only vector images. Disclaimer: the user centered interface and the attention to details we are pouring into Geppetto will make your experience of going back to any other simulation software truly awkward. 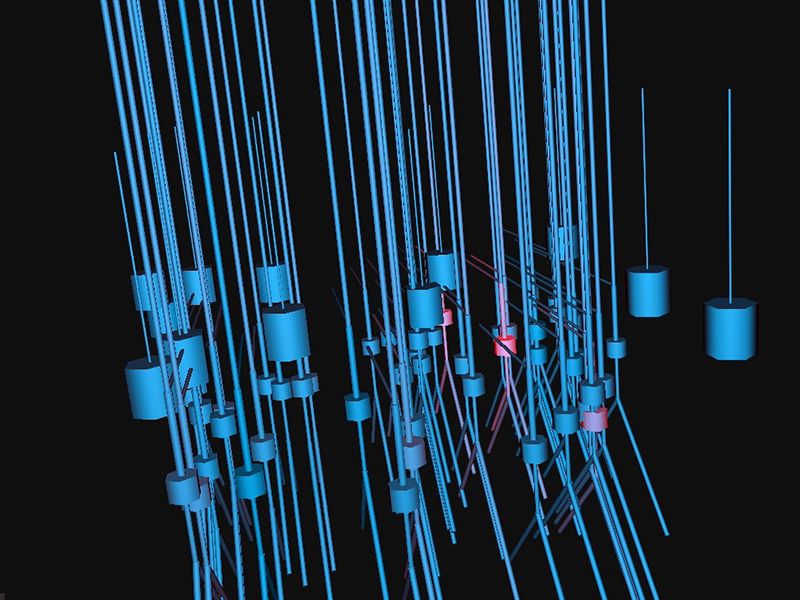 We know you are used to look at your simulations only via a plot or a static rendered video. 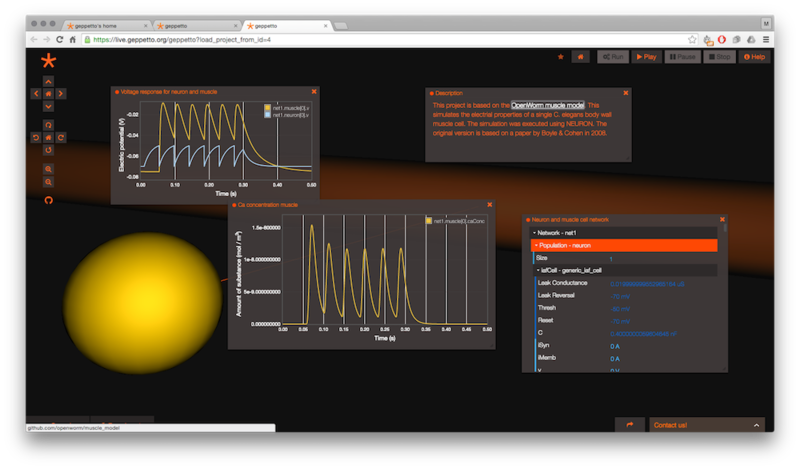 In Geppetto the 3D models can be linked to your simulation to add a dynamic visual component to your computational experiments. 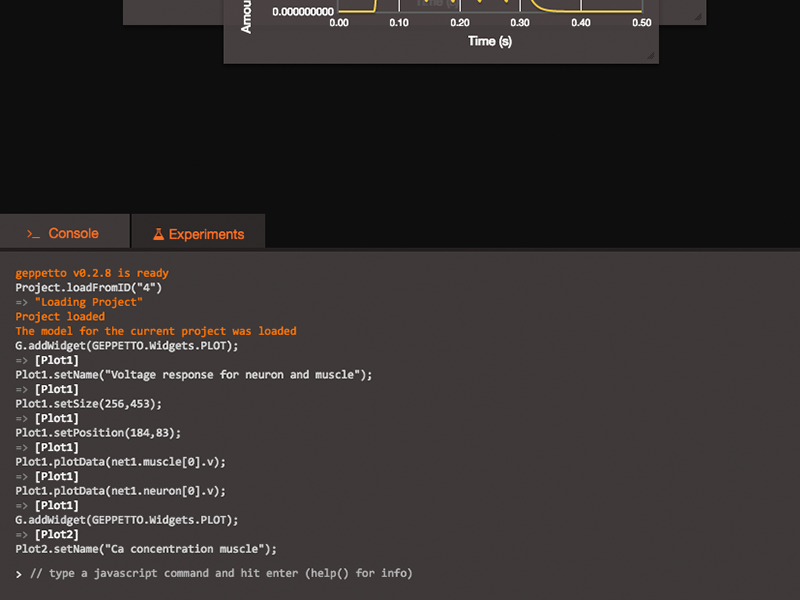 Who would want to do a computational experiment using a GUI that doesn't let you script your steps and run every action through command line? 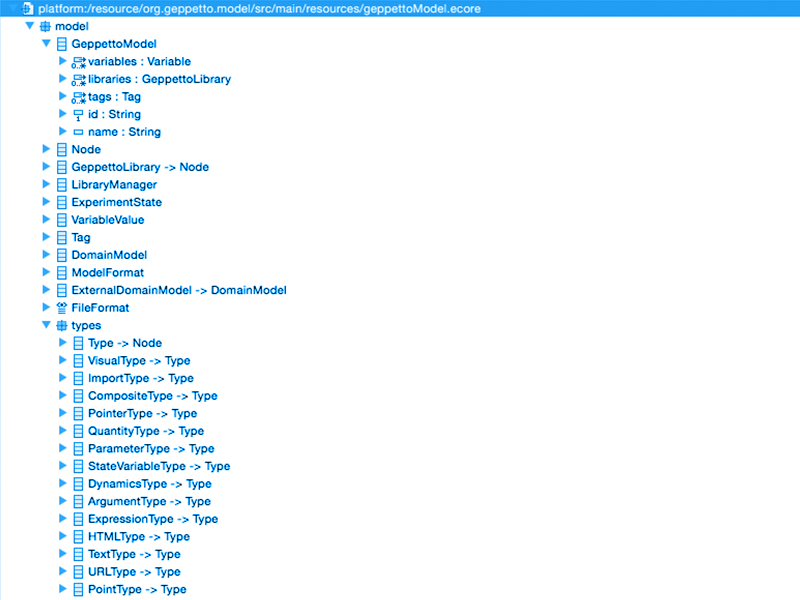 Geppetto defines a model abstraction capable of representing different classes of models and data, in a generic way. In this way the platform can be used over and over by different groups, becoming more and more robust, generic and smart. Some of the features responsible for giving you an amazing experience. Every month there is a new release of Geppetto and every month new features are added. We put a lot of thought in before adding new features as we want to keep the experience of using Geppetto truly awesome. Help us identify what matters to you and what you would want to see built in Geppetto. Do so by logging an enhancement request on GitHub or dropping us an email. Curious to know more about Geppetto? Some screenshots of what is possible today. Imagine the future. 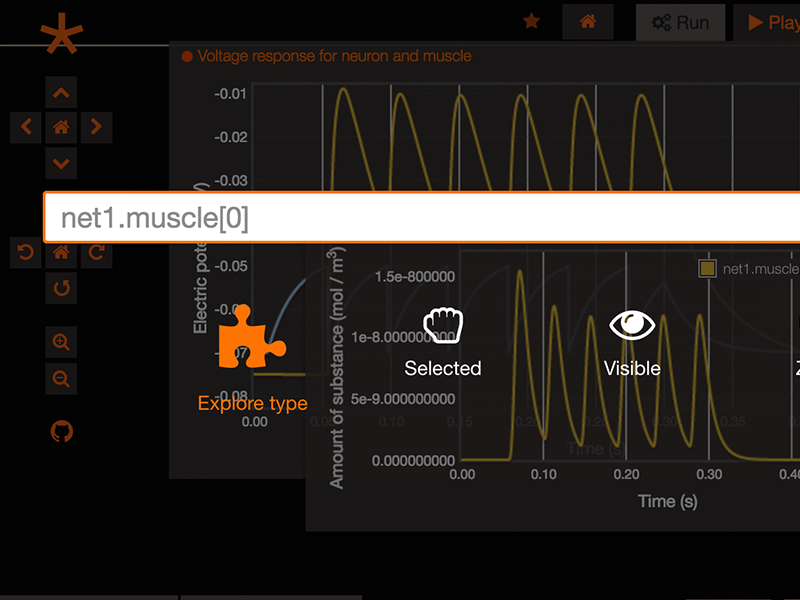 Check out the future of neuronal modelling: a web-based, multi-scale simulator & NeuroML compliant from the start! Super excited and proud of where Geppetto is going, this is the most awesome project I've ever worked on! 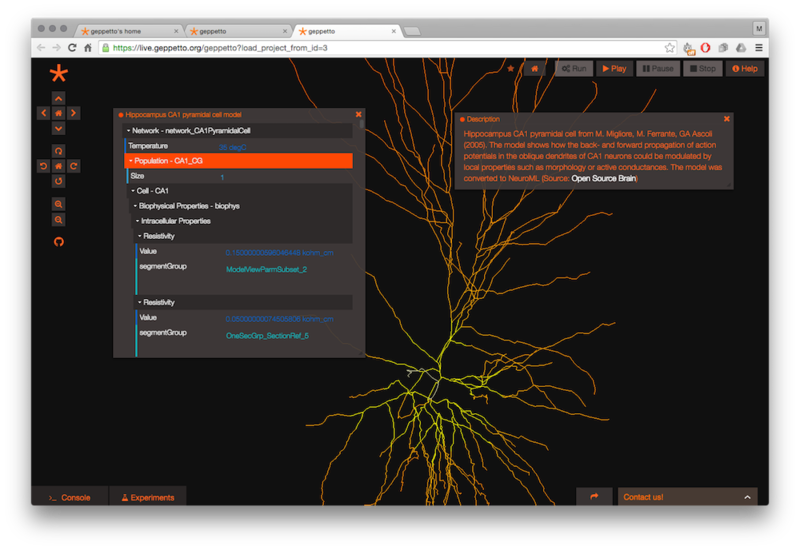 If you're into simulation/visualisation of bioscience data have a look at @GeppettoEngine, nerdgasm guaranteed. Proud to be on the team. Help us building the next generation simulation platform! Geppetto is multi-platform and works on Linux, Mac OSX and Windows, so no matter on what platform you develop there is a way for you to run it and add fantastic contributions. Right! Geppetto is hosted on GitHub, every module has its own repository to provide flexible ways of branching individual components. For every module we have at least two branches, development and master. The development branch gets merged into master each monthly release. If you want to contribute you can either go straight to the code or reach out to us dropping an email, we will show you around and help you contribute in your favorite way! Find some answers to the most common questions about Geppetto! For the full list of contributors see here. Why are you building Geppetto? Beside the functional requirements, Geppetto's goal is to move away from the monolithic approach to software that is usually found in academic programming projects. 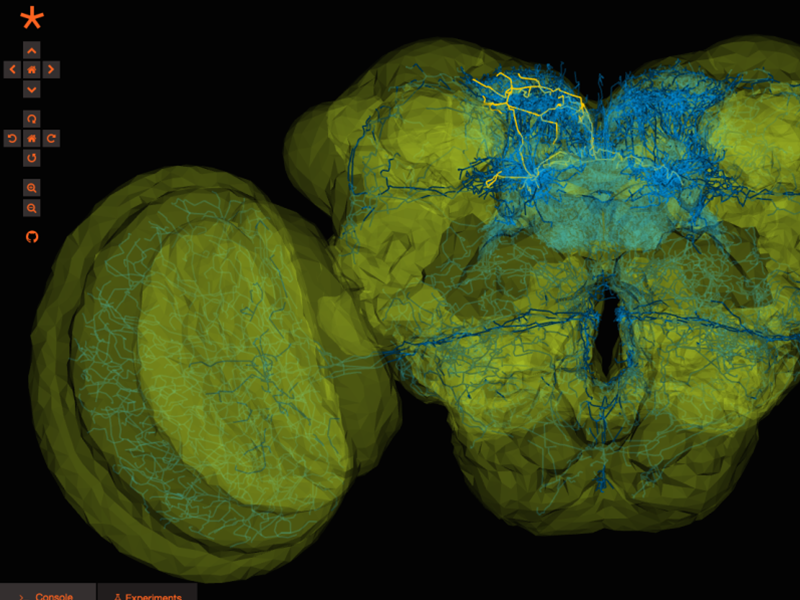 Computational neuroscience has produced software systems, including NEURON and Genesis, that are extremely useful for simulating systems of neurons that include biophysical details (Brette et al, 2007). A range of other algorithms have been devised in other areas of computational biology (Barnes & Chu, 2010) for which simulators have been produced (Takahashi, 2004). Several investigations have pointed to the challenges in building a single system that integrates multiple simulation algorithms together into a single biological model (Takahashi et al., 2002, Dada and Mendes, 2007, Cornelis et al., 2012). Geppetto aims to address these scientific and engineering challenges. Geppetto's design leverages cutting edge software technologies. Its architecture and development follows industry standards. 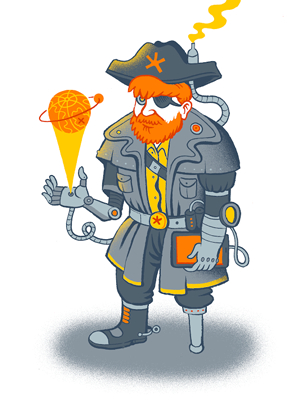 How is Geppetto development funded? Commercial companies, academic institutions and independent research labs are welcome to get in touch with us to discuss collaborations and grant applications. What is Geppetto's relationship with OpenWorm? 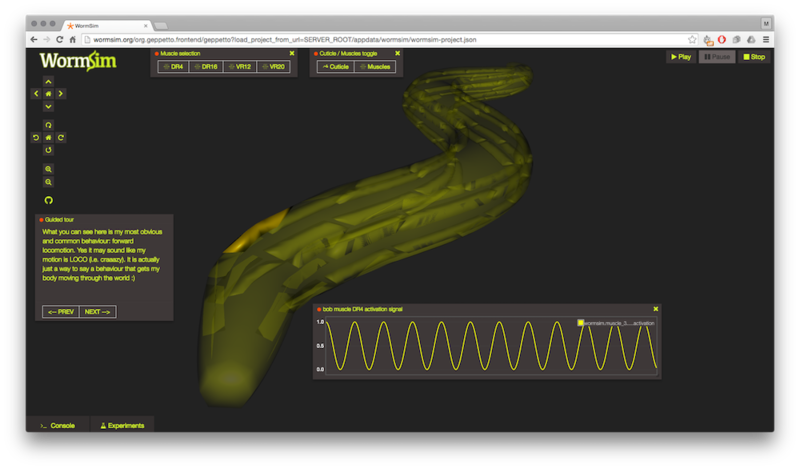 The decision to build Geppetto came after an analysis of the requirements for a platform able to support the OpenWorm full-scale simulation of the C. elegans. Geppetto's architecture is generic and therefore the simulation of the C.elegans is just one specific simulation it is capable of. 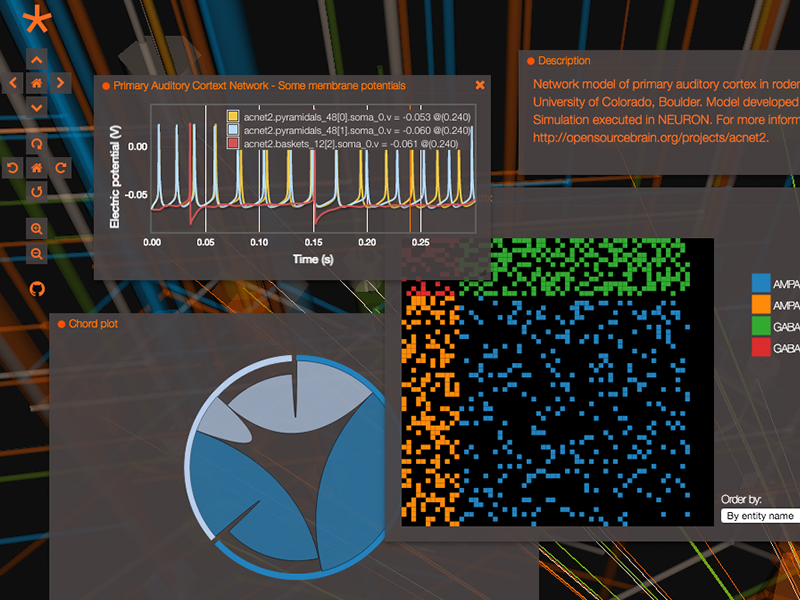 Geppetto's modules can be built to simulate and integrate any complex system. What license does Gepetto have? Arr, didn't find what you were looking for? Check out our docs or shoot us a line! Copyright © 2013-2016 Geppetto contributors.